Mission: Touch Foundation’s mission is to save lives and relieve human suffering. We improve healthcare in Tanzania, addressing one of the world’s most significant humanitarian crises: the shortage of healthcare workers in sub-Saharan Africa. We strengthen local health systems, and we encourage the adoption of our data-driven problem-solving model in the global health community. We are seeking a Director to lead our programs and operations in the Lake Zone region of Tanzania, including overseeing our Mwanza Office and providing leadership to our team of nine professional and three support staff in Lake Zone. Under the joint supervision of Touch’s Chief Program Officer and Chief Operating Officer, the Director will be responsible for overseeing all aspects of implementation for Touch’s programs in the Lake Zone, including supervising staff, managing partners, coordinating and monitoring activities, building and managing budgets, reporting, and contributing to the development of future programs. The Director will also, in coordination with Touch’s Operations team in Tanzania and the US, provide oversight for all aspects Touch’s operations in the Lake Zone, including human resources, facilities, compliance, security, communications and IT. The Director will be supported by program and project managers and analysts, and will access additional support from other staff in Tanzania, Europe and the US. The Director will interface with a variety of government and non-government funders, partners and stakeholders. Responsibilities of the role may be adapted based upon the experience of the successful candidate. As job descriptions cannot be exhaustive, the Director Lake Zone Programs and Operations may be required to undertake other duties that are broadly in line with the above key duties. 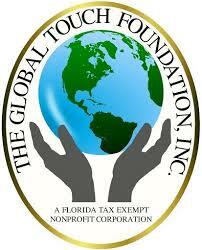 Touch Foundation Inc., is an Equal Opportunity Employer.